Saving money can only be achieved if it is part of the family culture. It all started with my parents, they instilled the sense of frugality to me and also my children. I am lucky that my wife shares similar values as my parents and myself. Being frugal doesn't mean never ever splurging and rewarding ourselves, it is fine to spend extra occasionally. What is important is the frequency of doing that and what we do the rest of the time. When possible, repair instead of buying a replacement. Cook at home instead of eating out. When eating out look for places that are less expensive. They often keep leftovers for lunch or breakfast. Eat together during dinner in order to reduce leftovers. Buy only what is needed. Use recycled items whenever possible. My mother used to sew our clothes (not so much anymore since we can get some inexpensive clothes in the market). When everyone in the family shares the same value and are very cautious when it comes to spending money, it is difficult if you spend too much. Even though no one will scold you or punish you, subconsciously, you will feel guilty. I guess it is similar to peer pressure but it runs within the family. This is a follow up from part 1, additional tricks of saving money. Some discounts are not obvious because they are not openly publicized. So the first thing to do is to ask whether the store is running any promotions. I do not memorize all the offers provided by my credit card and often miss them - the habit of asking about promotion helps in reducing the times I miss such promotions. Starbucks will give a RM2 discount if you use your own Starbucks Tumbler or mug. I am not sure if they will offer the same discount if you use a non-Starbucks mug. McDonald’s will give you a free frozen coke if you spend more than RM10 and pay with your credit card. McDonald’s will also give a free item (sometimes fries, other times apple pie) if you spend more than RM20 in the drive through and have a McDonald’s VIP sticker. Beyond Vege provide 15% discount off the total bill for paying bill with a UOB credit card. Discounts for members for Bread History on the first Monday of each month. On one occasion I wanted to have a birthday celebration. Instead of going to the restaurant directly, I search Groupon and managed to get 40% off our meals. However, this is not always a solution - most of the vouchers from sites like Groupon have fine prints like having to make booking at least three days in advance or not valid for weekends. Shopback will also provide you cash back if you shop from selected websites (such as Groupon, Lazada, eBay, Zalora) via their link. Are you paying for bills that you do not need? I make it a habit to review all the subscriptions I have - if I do not use it more than 10 times a year, I will cancel the subscription. This has helped me save a lot of money on gym subscription and swimming pool membership. Based on my phone usage pattern, I found that it is more economical for me to have a prepaid phone with extended validity. The lowest I have spent in one year is RM 60 for the whole year, that was when I did not make much calls and did not subscribe to any data plan. Sadly most of mobile providers, no longer extended validity with their new plans. At the moment, it looks like Digi still provides such a plan. All banks are required (by Bank Negara) to have a basic no fee savings account. However, the officer may not tell you about it, but will recommend one that has an annual fee instead. The difference between the one with an annual fee and the one without will be the number of times you can perform free ATM cash withdrawal and the number of free over the counter visits. Both CIMB and Maybank set their limit to 8 free ATM withdrawals and 6 over the counter visits. Based on my usage pattern, I am not likely to exceed these limits. For current accounts, Maybank and CIMB will waive the half yearly fee if the balance is more than RM1000. So to save on fees, look up the bank websites and review the options before opening an account. Note that most banks will charge you a fee if you close the account less than 3 months after you open it. Alternatively, make sure you ask the right questions when you visit the bank. Do you have any money saving ideas? Please share them in your comments. The following are some of the tricks I learned over the years and thought of sharing them here. Most credit card points expire. Often the points will expire before I could accumulate enough to redeem items that I wanted. In many cases, I could not find anything worth redeeming (or at least needed). When I compute the points needed to exchange for cash vouchers, the cash back yield was a better option. This is why I prefer cash back credit cards over other credit cards types of credit cards. I consider the cash back as discounts since I have to spend money to earn the cash back. Other type of cards is useful if it provides items that is otherwise not available. I have earned quite a lot of cash back since I switched over to cash back cards. However, in the last few years, the banks have reduced the amount of cash back their cards provide. For example, OCBC card used to provide 5% cash back, which they reduced to 1% and then to 0.1%. 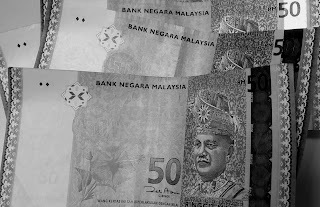 Wise card used to only require spending RM 50 ten times in a few selected categories to earn cash back, but that has been changed to a minimum of RM 2000 for the month before earning any cash back. UOB One card for petrol with 5% cash back (but only for weekends). Additional UOB Cash is earned if spent on BHPetrol stations. UOB used to waive the annual fee in the past but refused to do that this year. Hong Leong Essential card which provides 0.6% cashback for all spending (for spending below RM5000). The Public Bank Signature card provides 6% cashback for online spending, groceries and food (but maximum cashback of RM50 per month). There may be other cards providing better yield, but the ones mentioned above are the ones I am familiar with. I consider cash back from credit cards as discount since I need to spend in order to earn the cash. Loyalty cards like BHPetrol eCards can be used with UOB card to earn additional points. It takes 550 points to redeem RM5 worth of petrol. Among all the petrol station loyalty card, Petron Miles card provides the highest rate of return. It only takes 950 points to redeem RM10 worth of petrol. The TGV movie card earns 10% worth of Movie money for all spendings in TGV cinema. However, I found that using the movie money will not allow you to enjoy the early bird price for movie tickets. It is better to use the movie money for popcorn, food or drinks. TGV movie card cost RM30 per year, but I was given free renewals for the last two years. The renewal comes with two free movie tickets. Domino’s Pizza express cards cost RM50 (for new sign up) and RM30 for renewal. The card comes with a voucher for free regular pizza (which offsets the cost of the membership). With the card, we get an equivalent size pizza for any pizza we order (but only if we pick it up from the store). This is a good deal for me since my children and I love to eat pizza. Pizza Hut came up with a similar deal, but I find Domino’s more convenient for me. The Popular book card is another useful loyalty card, for adults RM12 for one year or RM25 for three years. If you have kids, you can just get the student card for RM10 for two years. The card entitles you to 10% storewide discount. There are other loyalty cards like Tesco card, Bonuslink, BCard but I do not use those as much and do not find the discount provided very compelling. The cards mentioned are the ones I used most often. Follow up in Part 2.